Stem Cell Therapy with cutting edge products. Fine lines and wrinkles form when your skin's stem cells grow dormant with age resulting in fewer new skin cells to keep your skin looking smooth andyoung. Stem Cell Therapy awakens your skin's stem cells so they generate many new skin cells like when you were younger. This naturally smoothes out lines & wrinkles, and makes you look years younger. 1. The Luminesce cellular rejuvenation serum delivers more than 200 human growth factors to the skin and is the first product to stimulate your body's natural ability to replenish and heal your skin. Recent Clinical Studies showed that 88% of women saw improvement in the overall appearance of their skin. 75% experienced improvement in skin texture and smoothness. 70% felt an increase in skin firmness and elasticity and 70% saw a reduction in the appearance of fine lines and wrinkles. 2. The Luminesce daily moisturizer gives immediate ski hydration and reduces fine lines and wrinkles in just 2 hours and protects again the damaging rays of the sun. This product contains apple, lentil and watermelon extracts, red seaweed extract, green algae extract and blue algae extract. 3. The Luminesce Advanced night repair works while you sleep–when cellular repair is most active–by enhancing the health of your skin’s DNA. World-renowned cosmetic surgeon, Dr. Nathan Newman, M.D., is the Chief Medical Advisor for Jeunesse Global. Carrying on a family legacy of internationally prominent physicians, Dr. Newman has established a fully-accredited and respected cosmetic surgery practice in Beverly Hills, California. I was amazed to watch the video on channel 7 about the Stem cell lift procedure he does to regrow skin, bone and cartlidge. Dr. Newman explainshis unique stem-cell-lift process, along with some of his amazing before and after examples. to help re-hydrate, repair, and revitalize your skin. Combining the expertise and technologies of renowned physicians, LUMINESCE™ advanced night repair works while you sleep–when cellular repair is most active–by enhancing the health of your skin’s DNA. This powerful cosmeceutical is based on the most advanced clinical research available and is designed to enhance specific metabolic pathways involved in the aging process. 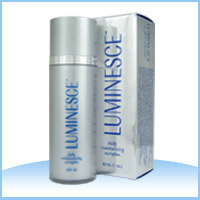 LUMINESCE™ advanced night repair includes naturally derived ingredients that help repair your DNA on a cellular level and combat the appearance of premature aging. During the normal aging process, your cells and the gel-like substance that lubricates between them lose hydration, causing your skin to become thin and dry. The growth of new skin cells slows down, creating a dull, sagging complexion, and telomeres, which protect your DNA from damage, become shortened. Nutrients necessary for skin regeneration and DNA repair cannot make their way inside the cells, and waste products cannot leave. Daily routines expose you to free radicals, which inhibit the growth of healthy cells and deplete the body’s store of proteins and lipids. LUMINESCE™ advanced night repair combines the latest in patented technology to correct the environmental damage of the past and fortify your skin for the future. 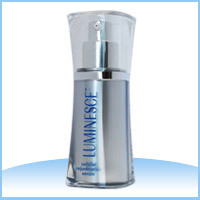 It supports natural self-repair mechanisms during the night to reduce the signs of aging from the effects of harmful agents, leaving your skin renewed and revitalized.LUMINESCE™ advanced night repair provides maximum hydration, restores moisture, and diminishes the signs of time on your skin.